Deep, rich chocolate tones dominate this blend, which has long been a personal favorite of our chief roaster. A full, creamy body is balanced with a delicate acidity with hints of citrus. Super-sweet and clean, this coffee manages to be refreshing even as it beguiles you with its chocolaty decadence. This blend was created for musician Xavier Rudd - a wild man, music man, one man band, and dude of serious mystical powers whose music is turning on increasing numbers of people around the world. 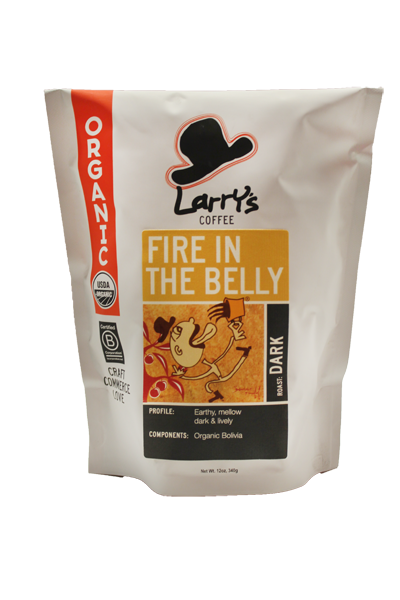 He and his coffee-loving posse love Larry's Beans so we hooked up and blended this in his honor. AND 10% of sales will be donated to OXFAM!